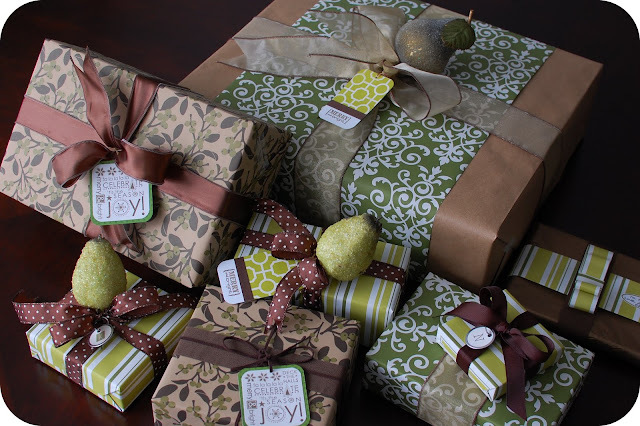 33 Shades of Green: Christmas Wrappings '09. . . 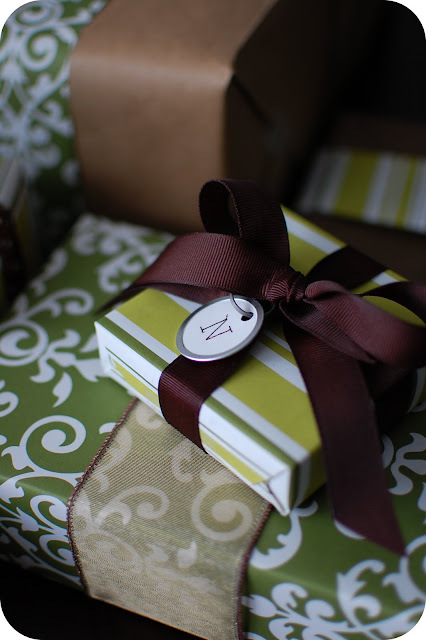 I LOVE, LOVE, LOVE wrapping presents! It's definitely one of my favorite parts about getting ready for Christmas. My theme this year was green and brown. 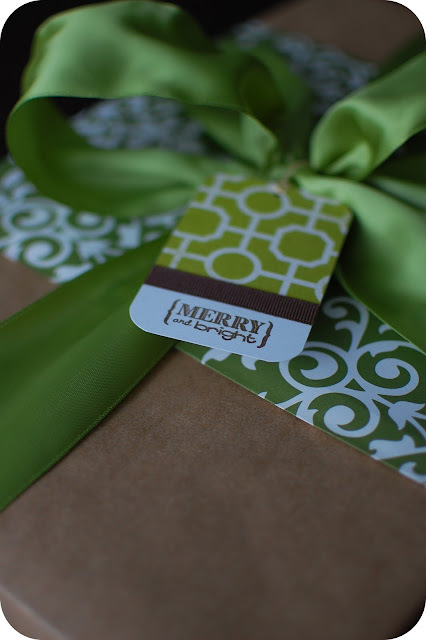 In the weeks before Christmas I started looking for green & brown paper and ribbons. 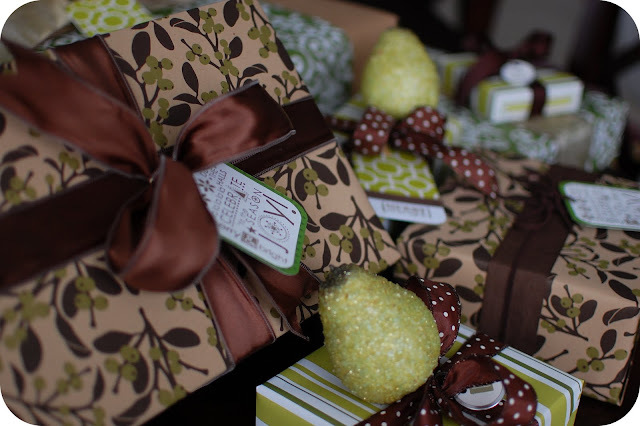 When I started wrapping I didn't really have a plan for what I was going to do - I just made things up as I went. 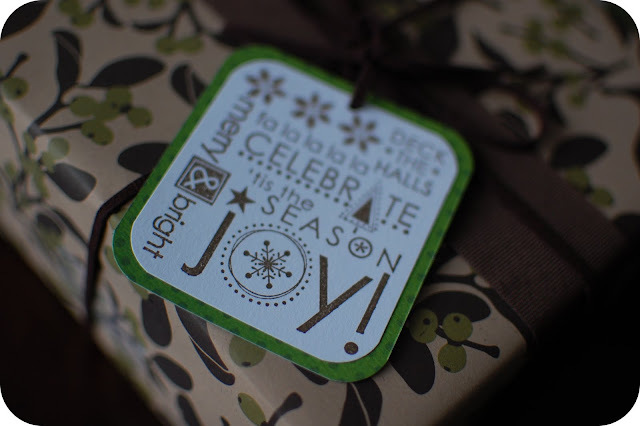 Handmade gift tags are so quick and easy to make and I think they look so much nicer than most store bought ones! 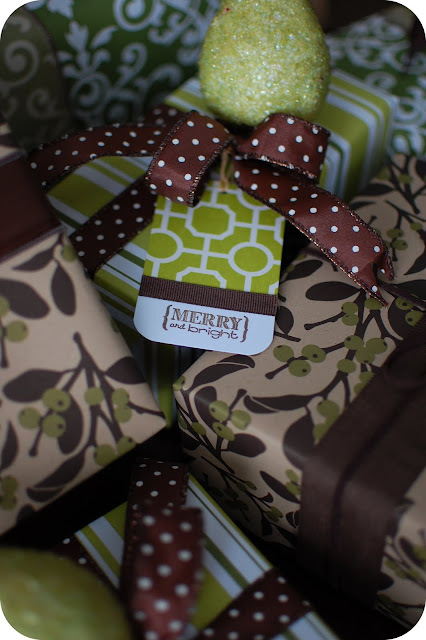 Christmas wrappings from 2008 can be found here! You have wonderful blog. I absolutely love your photos. I have been trying to improve my photography skills so I have been looking closely at blog photos and yours are great. Loved your wrapping ideas as well. 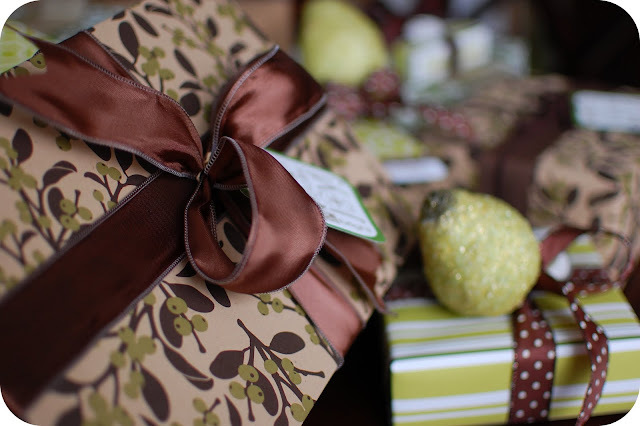 Beautifully wrapped presents! They are too pretty to open! Gorgeous colors! I love beautifully wrapped presents. These look great! Do you get sad when all your hard work is ripped into then tossed away? I can never bring myself to use the ribbons I buy for gifts because I can't bare to see them stuffed in a trash can but I don't want to seem nuts collecting them up haha. They sure do look beautiful though! 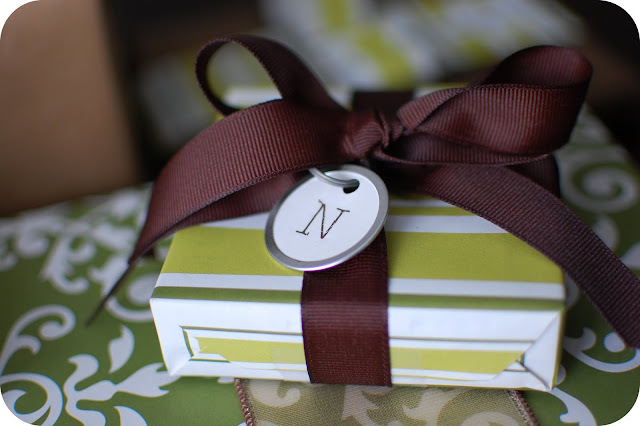 This is gorgeous I'm try to do the same with my gift he he I copy the idea. I Hope mine will be so pretty like yours. These are so beautiful. I have an addiction to pretty wrapping. So happy to have found your blog. Ok. Seriously? Who wraps like this? :) It's incredible! I love every single one of them! Thanks so much for linking up! I absolutely love the wrapping of these packages.